The upcoming International Indian Film Academy (IIFA) awards 2010 is turning out to be interesting for more reasons than one. 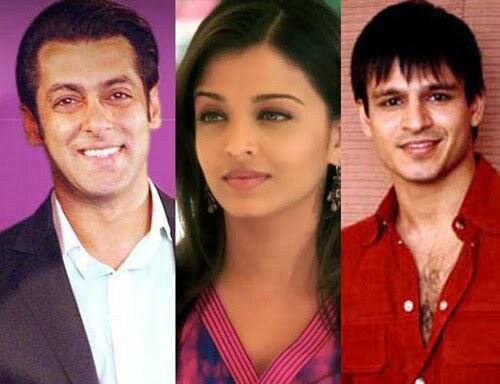 If cricket fans are eager to watch the charity cricket match between Indian celebrities and Sri Lankan cricketers, many must be very eager to know the coming together of Salman Khan, Aishwarya Rai and Vivek Oberoi at the film festival to be held in Colombo, Sri Lanka, from 3 to 5 June. Salman had earlier revealed that he would perform at the event. He will also play the charity cricket match along with Dino Morea, Vinod Kambli, Kiran More and others. Vivek too will attend the film festival to restart his Project Hope to help in the reconstruction of a village in Sri Lanka. Adding more spice, Amitabh Bachchan, the brand ambassador of the event, had earlier revealed that his daughter-in-law Aishwarya would attend it. It is common knowledge that Salman, Ash and Vivek have not talked to each other ever since the love triangle happened a few years ago. Ash is now happily married to Abhishek Bachchan; Salman is going not so steady with Katrina Kaif and Vivek has revived his career, though not very lucky with his love life.